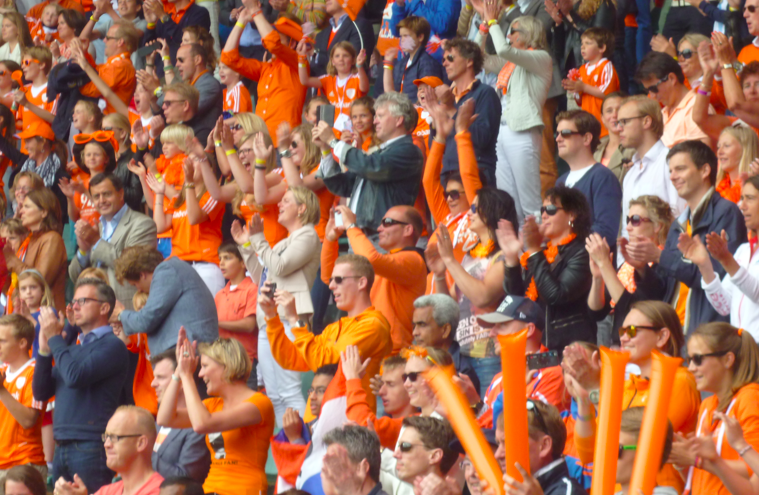 Blog Netherlands b y Numbers has been looking at why the Dutch are so good at field hockey – ahead of the World Cup which takes place in The Hague over the next two weeks. Forget Brazil and the football. The hockey World Cup kicks off in The Hague on Saturday – both the men and the women’s competitions. There are 15 different countries taking part – 12 teams in each competition – and the Dutch women are hot favourites to take the title. Just so you won’t sound stupid if you should end up discussing the finer points of Maartje Paumen’s techniques with someone who knows all about it, here are some key facts about hockey in the Netherlands. 1. Hockey was introduced to the Netherlands way back in 1891 and soon afterwards the first clubs opened in Amsterdam, The Hague and Haarlem. 2. Today there are 320 hockey clubs in the Netherlands and the sport is played by nearly 240,000 people. The big clubs, like Rotterdam, have over 3,000 members and there are over 100 youth teams. 3. Hockey clubs are mostly named after the place where they are based, but some have more imaginative names. Take the Strawberries from Driehuis, the Kikkers (frogs) from Nieuw-Vennep or even the Kraaien (crows) of Wijdewormer. 4. Hockey is the second most popular team sport in the Netherlands after football but the hockey teams are much more successful. 5. There are three standard competitions in the Netherlands: juniors, seniors (18 to 34) and veterans (35+). But you can also play company hockey, wheelchair hockey, beach hockey, disabled hockey, street hockey, indoor hockey, school hockey, keep fit hockey and something they call Funkey…. The Dutch are so hockey-mad that during the World Cup there is even a special competition for 70+ players. 6. The Dutch women have won the World Cup six out of 12 times and silver four times. Their big rivals are the women of Argentina and Australia. Oranje women are currently top of the world rankings. 7. The Dutch men have won the world title three out of 12 times and silver twice. Their biggest rivals are Australia and Germany. The Oranje men are currently ranked three in the world. 8. This year, the national Dutch men’ champions are Oranje Zwart (orange black), the women’s national champions are Den Bosch – as usual. Den Bosch have won the women’s title in 14 of the past 20 years. Bloemendaal and Amsterdam tend to dominate the men’s game. 9. Midfielder Maartje Paumen (who of course plays for Den Bosch) won the title of world’s best player in 2011 and 2012. But then, Argentina’s Luciana Aymar has won the title eight times since 2001. 10. The Dutch men are in group A with Germany, New Zealand, Korea, South Africa and Argentina. The Dutch women face Australia, New Zealand, Japan, Korea and Belgium in their group. The top two teams in the groups progress to the knock-out rounds. You can watch the Dutch matches live on Nos television. And for those who think (field) hockey is slow and boring: the very top players can flick the ball at speeds of over 110 kph and hit it to travel at over 130kph. Ow! The Netherlands by Numbers blog publishes lists of all things Dutch.